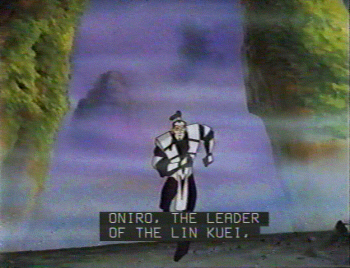 There is some controversy over the proper spelling of some of the lesser known names and places in the Mortal Kombat universe - most notably from the cartoon show, Defenders of the Realm. I have assembled here a list of some of them as well as various sources, which mostly include closed captioning from a recording of the show and screenshotted here. 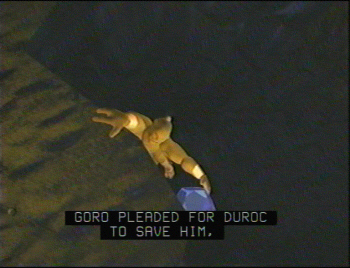 What was the gift that Goro and his brother were fighting over, anyway? It was a rare and precious Jeweled Nika Egg, which they both wished to present to their father King Gorbak (who was overall, pretty pleased to see that Goro had become so ruthless that he killed his brother). 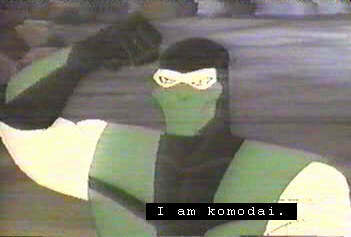 Komodai was also featured on Defenders of the Realm, he was raptors of Reptile's race. 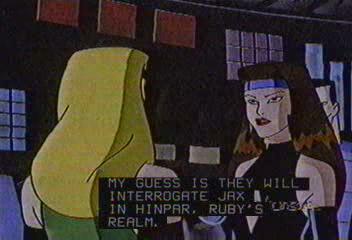 What's also interesting is that Jax mentions that he thought Reptile's race was extinct, indicating that Komodai and Reptile are definitely not one and the same. 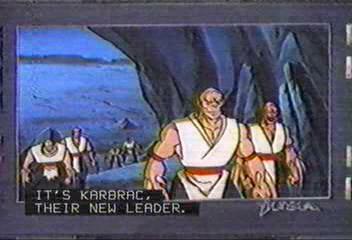 Karbrac is the new leader of the nomads! One question – who was the old leader? 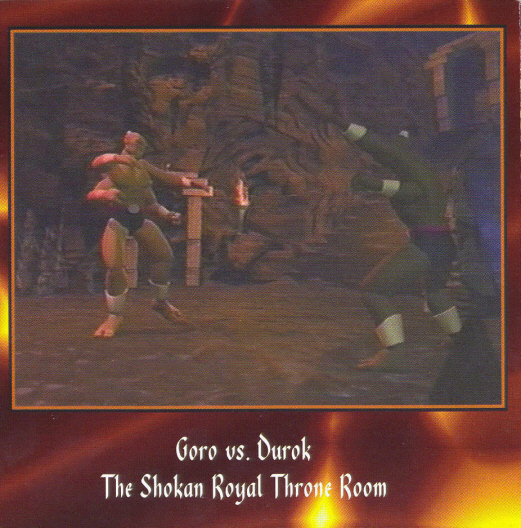 It could have been Baraka or possibly even Goro (who was shown to be the leader in the Animated Video) but it was never stated in DOTR. 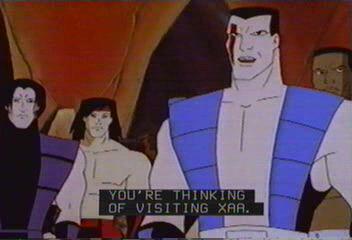 One of the many realms that the mortals would travel to in DOTR ended up being Xaa. Like Outworld, Raiden's powerless there. Another realm they travelled to was Zaterra. 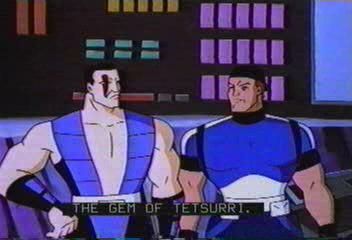 When the earthlings were exposed to the "Gem of Tetsurri", their souls were darkened and they nearly destroyed each other. It was explained that it wasn't a gem at all, but rather a crystallized heart that belonged to Zaterra's tyrant ruler, Tetsurri.